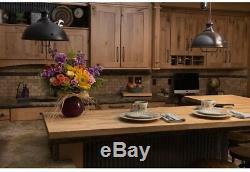 Wood Butcher Block Kitchen Countertop Unfinished Birch Cutting Board Contractor. 50inx25inx1.5in Wood Butcher Block Countertop in Unfinished Birch. This is a product of nature and will display characteristics that are unique to each piece. The smooth birch countertop adds warmth to any kitchen with its light shade of blonde. 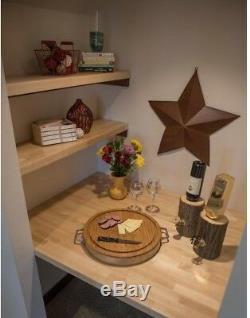 The countertop can be stained to desired color and be treated with food safe mineral oil or a food safe lacquer. Add beauty and value to your home with our Northern European birch. A professional contractor or homeowner who is looking for a piece to complete their dream kitchen should look no further. Easily machined, sanded, and maintained. 100% hardwood with no fillers. The hardwood will have gentle swirls of grain that is natural, and defined through the seasons of the birch trees aging. We strive to deliver top notch service. If you are unsatisfied with your order in any way. Our stock all ships from our US-based warehouses. Only factory defects are accepted as a reason for a return. In the case of factory defects, we will replace the product for you When returning an item, it must be in all of the original packaging and include all of the original accessories or items that came with it. The item and package should be in original and perfect condition. We do our best to process as quickly as possible. These products are manufactured according to the specifications of the US Electrical Standards and codes. We assume no responsibility if the item malfunctions or causes an accident because you tried to use the product with foreign electrical standards. The Use with a converter or other voltage transforming device is AT YOUR OWN RISK. 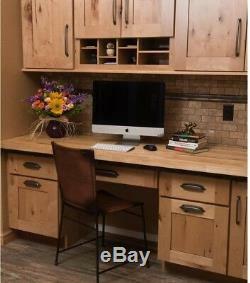 50inx25inx1.5in Wood Butcher Block Countertop in Unfinished Birch 1-1/2 in. --The smooth birch countertop adds warmth to any kitchen with its light shade of blonde ---The countertop can be stained to desired color and be treated with food safe mineral oil or a food safe lacquer ---Add beauty and value to your home with our Northern European birch ---A professional contractor or homeowner who is looking for a piece to complete their dream kitchen should look no further ---Easily machined, sanded, and maintained ---100% hardwood with no fillers ---The hardwood will have gentle swirls of grain that is natural, and defined through the seasons of the birch trees aging Specifications Dimensions Product Depth in. 25 in Product Length in. 50 in Product Thickness in. 1-1/2 in Details Color Family Unfinished Wood Color/Finish natural Countertop Use Kitchen, Office Bar Features Antimicrobial Kitchen Product Type Butcher Block Countertop Material Birch. The item "Wood Butcher Block Kitchen Countertop Unfinished Birch Cutting Board Contractor" is in sale since Sunday, July 30, 2017. This item is in the category "Home & Garden\Kitchen, Dining & Bar\Kitchen Tools & Gadgets\Cutting Boards". The seller is "pfcwills" and is located in Flushing, New York. This item can be shipped to United States, Canada, United Kingdom, China, Mexico, Germany, Japan, Brazil, France, Australia, Denmark, Romania, Slovakia, Bulgaria, Czech republic, Finland, Hungary, Latvia, Lithuania, Malta, Estonia, Greece, Portugal, Cyprus, Slovenia, Sweden, South Korea, Indonesia, Taiwan, South africa, Belgium, Hong Kong, Ireland, Netherlands, Poland, Spain, Italy, Austria, Bahamas, Israel, New Zealand, Philippines, Singapore, Switzerland, Norway, Saudi arabia, Ukraine, United arab emirates, Qatar, Kuwait, Bahrain, Croatia, Malaysia, Chile, Colombia, Costa rica, Dominican republic, Panama, Trinidad and tobago, Guatemala, El salvador, Honduras, Jamaica, Viet nam, Uruguay.